A logo isn't just a pretty visual image printed next to your name. It is an integral component of your brand and frequently the first thing a customer sees. It is the public face of your brand and everyone loves to create that lasting impression. Today, we have got you a logo set that fits all. This set of 6 business logos is a perfect blend of elegance and creativity with a modern twist. Grab this pack of stylish logos absolutely free! Customers today are flashed with 200+ ads each day. To get yourself noticed in such a deadly competition, you need to have an identity. A logo helps you define your identity and your brand. It serves as an instant reminder to your customer about your product or company. So, whether your company is big or small, a logo definitely has its place. However, is having a logo enough? No, it's not. An effective logo is what serves the actual purpose. An effective logo is distinctive, appropriate, practical, graphic, simple in form and conveys an intended message. Its biggest purpose is to help create awareness for your brand. So when you are on the look out for your logo, you have to hunt out something that works for you. This bundle with 6 business logos can be a great start. 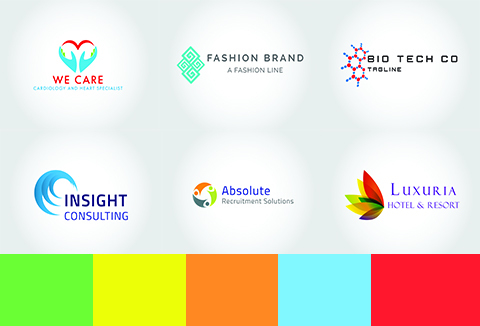 These 6 logos have been created with style and finesse to bring a hint of perfection to your company's image. All files are completely editable and can be modified as per your company's requirements. All logos are royalty free. Unlimited use is permitted by a single user. All files are supplied in ai & png formats. A vector editing application, such as Adobe Illustrator, is required in order to edit these files. Ready to grab this logo set absolutely for free today? Awesome, nice work- a BIG thank you!